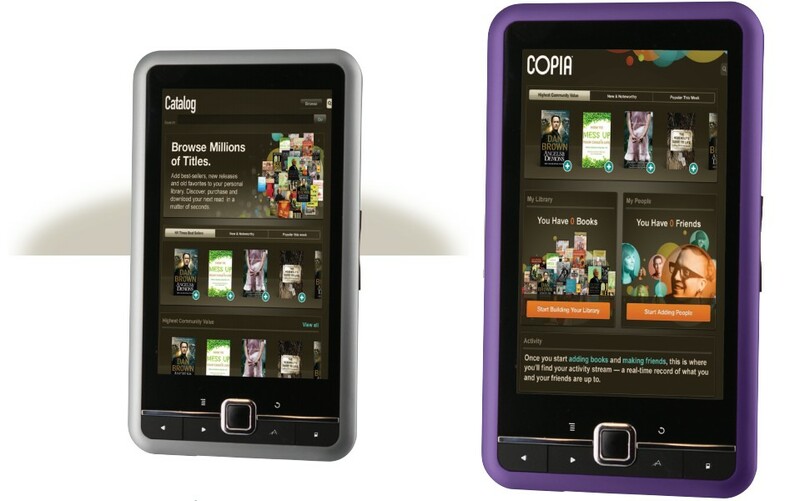 Just a couple hours ago, news broke of the $99 Copia Wave5 e-reader, or tablet, or whatever you want to call a 5″ LCD-based device focused on reading. 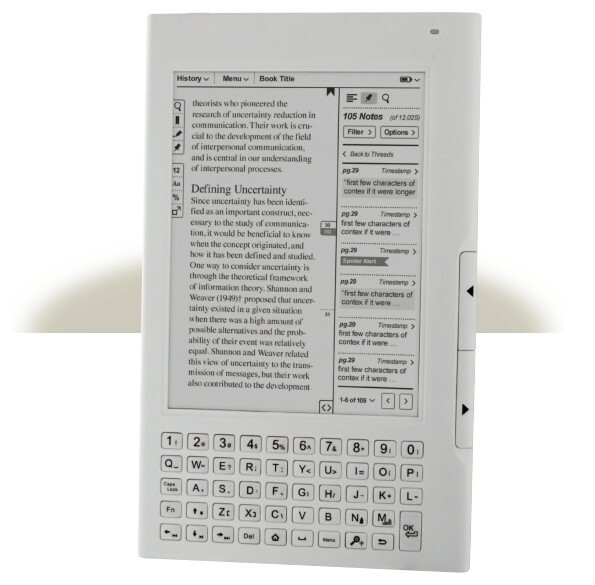 That isn’t the extent of the lineup, however: Copia has two more LCD-based tablets coming out soon, as well as two E-ink-based readers with Kindle-esque designs. 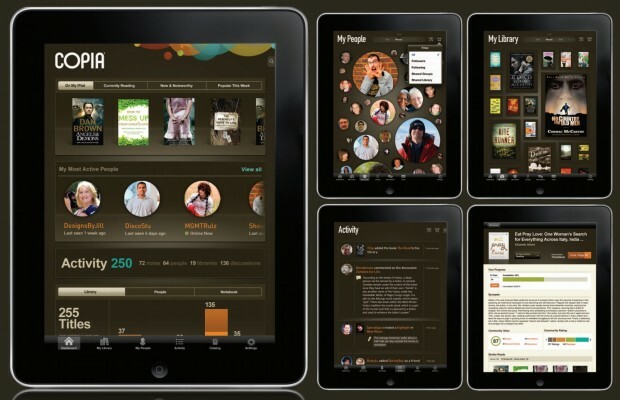 As they’ve said since their CES debut, the draw is supposed to be their unique social platform, which allows a community of readers to exchange reviews, recommendations, and so on — and although it will start as an exclusive to Copia-branded devices, they’re trying to go OEM and make the Copia service the premier social layer for e-books. In addition to the devices I am about to go over, I am told that iPad, Windows 7, and Android apps are planned for later in the year, in addition to a browser-accessible web app. Whether the Copia app and service can survive alongside the popular Kindle app (as well as all the others, like Kobo) is difficult to say, but as I have noted, consumers want as little fragmentation as possible in their experience. This isn’t helping, as well-meaning and possibly useful as it is. They’re trying to hook into existing social networks, which may accelerate things, but it may also accelerate the “social fatigue” we discussed. Only time will tell, and luckily Copia is backed by its parent company, DMC Worldwide, and may be able to weather the initial period of slow growth that tends to accompany social networks. On to the devices. First is the Wave5, which was announced today sans specs. We’ll include it here for completeness’ sake. Prices are not final. Do these things stand a chance? The platform is still in beta, so I don’t want to say anything about it without giving it a shot first, but the tablets are at least competitive with existing low-cost hardware (though their processors aren’t mentioned, a bad sign). The omission of Wi-Fi from the Wave5 and Wave7 might be murder, though; for a pure e-reader, the new Kindle seems to school them. If they had e-mail and a browser, however limited, that would be a selling point against Amazon’s 900-pound (or however many pounds idiom requires) e-book gorilla. At least they’re not bad-looking, as I am forced to point out their old lineup certainly was. The idea of a social platform for reading is slightly abhorrent to me, but then again, I don’t use Twitter, and I collect centuries-old editions of books no one else reads. I’m not the target market. Distributing these at Walmart where bestseller reading groups can see them, and creating a grassroots community that way, could be possible — but it’s tricky with all the competition out there, and the lowest-cost readers are slightly confusing in their object. 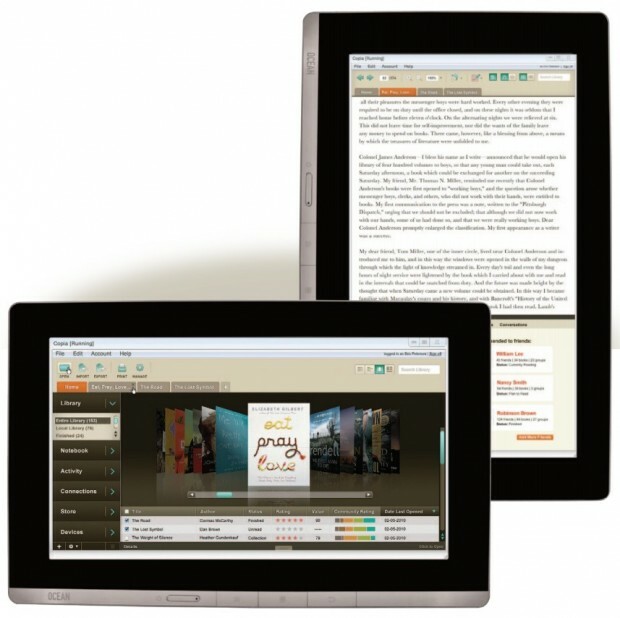 Tablet or e-book device? As Amazon has observed, most books are in black and white; the benefits of color are doubtful for most users (certainly not for all). If Copia can get a foot in the door and make their platform an OEM solution, good for them. But first they have to find the door.